This is a piece of charred Douglas fir (upper) and a hardwood from the structural wood used in this home. 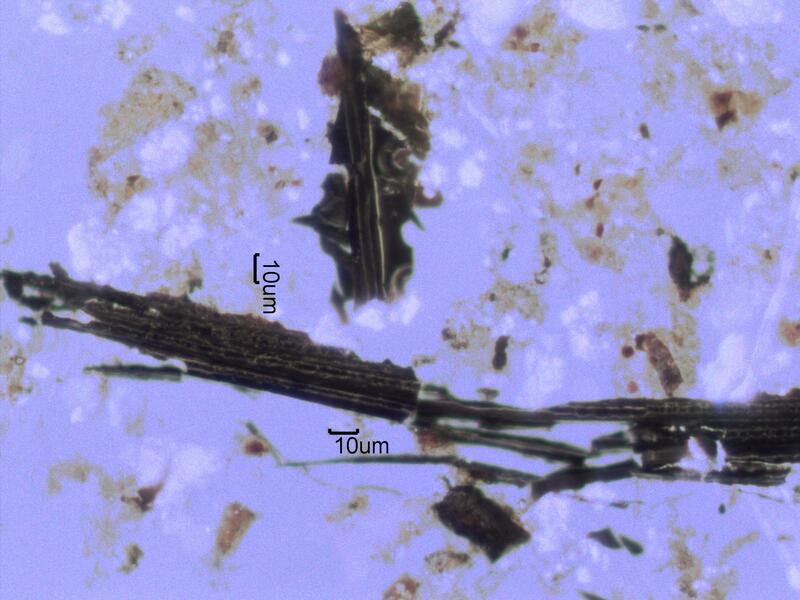 This particle was collected on a tapelift taken on the second floor of a home that had a fire in the basement. This was carried upstairs by the chimney effect through the stairwells.